It is always exhilarating to come home from a trip abroad. There is really nothing like living in the Philippines for me. Other countries like the US of A for us are just for visiting for business or leisure. Next column, we shall continue our discussion of strategic drivers for our continuing Workshop on Entrepeneurship. Let me just wrap up my insights from my meandering in the Americas. Look out for business opportunities as my story unfolds. 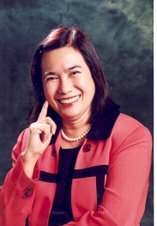 One of the points that I will never forget from Dr. F. Landa Jocano’s lectures about Filipino values goes like this: At work during the day, the Filipina may wear make up such as foundation by Lancôme, rouge by Esteé Lauder, lipstick by Clarins, mascara by Clinique and eyebrows by Mongol. But home at night, she removes this external mask and what is left is the real Filipina—loving, caring and family-focused. The made­up face is for the outside world, the naturally clear face is for family and loved ones. No matter what she puts on her face underneath that is the Filipina olive skin, Filipina values and the Filipina dream. So are Filipinas (and Filipinos) anywhere. In San Diego, California, outwardly our fellow Filipinos have definitely embraced the American life and love for consumer products. Their houses look just like any American house, outside and inside. But if you look closely inside their refrigerator and pantry (and I suppose elsewhere in the world), you will find bagoong, tuyo, tamarind soup base, hopia, Marca Piña Soy Sauce, Jufran Catsup and other Filipino favorites. They even grow calamansi and Philippine guava trees in their backyards. My sister-in law, Ate Prima Aquino, said they regret that kamias tree and other Philippine fruit-bearing trees do not seem to thrive in the cool climate of San Diego County. Otherwise, their backyards would have been full of them. No wonder that Jollibee is so successful in the US—they are setting up several new outlets. Goldilocks and other Filipino restaurants and stores are thriving, as well. At work and in public places, Filipinos all over the United States might sound like Americans, but at home they speak their first language—Tagalog, Visayan, Pangalatok and Ilocano. When speaking one’s first language, one is able to express emotions better. How do you say sayang in English? The English words regret, unfortunate, pity don’t actually express what it means. Filipinos know how to create happiness. Filipinos in San Diego don’t need any occasion to be merry – they create the situation. They work in earnest from Monday to Friday. Partying starts on Friday evening until Sunday evening—birthday, baptisms, house blessing, wedding, reunion and all sorts of parties. In one such party given by the Aquinos for their grandson Joshua, they served 25 different viands and 15 kinds of desserts. Plus a variety of sodas, juices and wines. The party started at lunch and on to dinner and midnight snack. Pig-out talaga! At the birthday party of Lenie Velasco, she had 14 viands, 6 salads and 10 desserts for her ballroom dancing friends. Lenie and her husband run the Bert Velasco Dance-O-Rama. For $5, you gain entrance to dance lessons, ballroom dancing and a plateful of pancit from 6-10 p.m. on Fridays. The day we were there, the lesson was on American jazz. Filipinos love to dance and they do it very well. Con todo acción y emoción. Cha-cha, tango, swing, reggae, curacha, salsa, mambo, foxtrot, you name it. Fellow Manila Times columnist Becky Garcia, Hi Society, will enjoy it there. San Diego county is sprawling and vast—if you don’t have a proper map or don’t know how to use a map, it is difficult to go places. And, for more than an hour, we cruised the area of Chula Vista looking for the house of Zeny Macaoay because the sketch given was a little off. But the warm hospitality of the Macaoay family and the array of food served more than compensated for the gallons of gas and patience used to find their place. The Macaoays are in the habit of collecting houses. Zeny says she is tired of working 8-5 and wants to pursue a real estate career. I must thank Zeny for bringing me to Tijuana, Mexico. There are numerous Filipino associations in San Diego. They even have an association of Filipinos who have retired from their jobs. I went to their well-attended (more than 500 people) ballroom party and coronation of their queen and princesses. As usual, the night was filled with long-winded speeches. Pinoy na Pinoy talaga! I gained a total of 15 pounds in my two-week stay in San Diego. In all these parties, there is always lechon, halabos na hipon, dinuguan, barbecue, kaldereta, menudo, puto, suman, a variety of Filipino rice cakes, maja blanca and others. The Pangasinenses and Ilocanos will always serve pinapaitan and kinilaw na kambing. The Bicolanos, their laing and other food cooked in coconut milk. The Visayans, their kinilaw na isda and sinugba. Darwin Ferrer, the only son of Ate Lily and Kuya Alex Ferrer opted to celebrate the party of their daughter, Jackie, at the Italian restaurant, Buca. Darwin, Josephine, Alexander and Jackie don’t speak Tagalog or Pangalatok. Darwin has not been back to the Philippines since he left at 3 years old. Josephine, Alexander and Jackie were born in the US and have never been to the Philippines. Theirs is already an American family pursuing the American dream living life the American way. However, they definitely look Filipinos and exhibit Filipino values like family centeredness. Jackie and Alexander are still living in the family home and are being sent to college by their parents. Filipinos are longing to come back or even just visit the Philippines. They nurture their ties with remaining members of their family here—aunts, uncles, siblings, cousins, nephews and nieces with remittance to help in their daily subsistence, education and emergency. The umbilical cord of Fil-San Diegans is very much connected to their roots here in the Philippines. Even Darwin, when he sets foot here in the Philippines, I am sure, will find his heart beating for his fellow Filipinos. Now, since we are in the subject of entrepreneurship, what are business opportunities here? In San Diego—money remittance, balikbayan-box shipment, Filipino food and restaurant, party organizing, and anything that reminds Filipinos of home. Here in the Philippines—English language and American accent tutorial for immigrating Filipinos, money remittance, alisbayan box, export of anything that will remind Filipinos there of home. They are building a Filipino Village (similar to Chinatown and Little Saigon) in National City to honor the more than a million Filipinos in San Diego. Panamá time or American time?